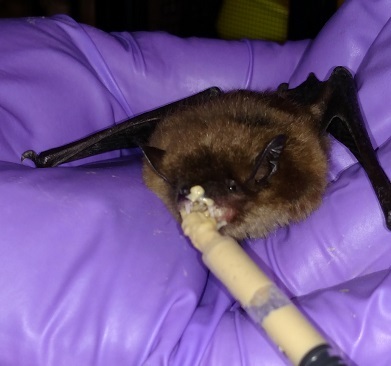 Spidy is a Big Brown bat. 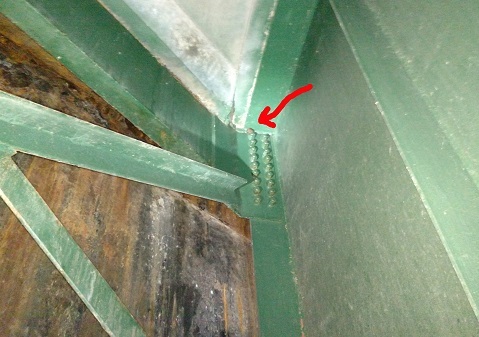 He was found hanging from a steel girder under a bridge on I89 in Sharon on January 12, 2016 just like Spiderman. 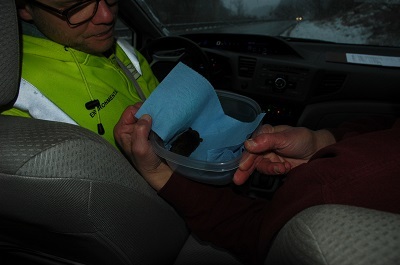 In late December he was discovered among a group of 8 bats during a survey of the wildlife under the bridge by a biologist for the Agency of Transportation. Apparently the bats were on their way to a winter hibernation site and had stopped under the bridge to rest for a while. This was very late for bats to be flying around, but not unheard of. On a subsequent check on January 12th only one bat remained: Spidy. It was snowing and the temperature was in the mid-20s. 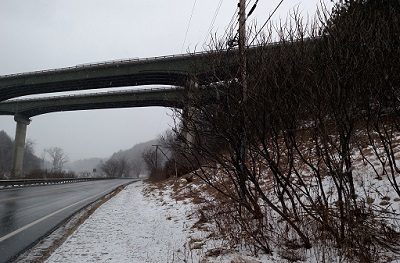 During the previous week there had been several days with temperatures well below freezing. Spidy was in real danger. He was using too much of his stored fat reserves to survive thru the long winter even if he were able to make it to a hibernation site. He had to be rescued or he would die. 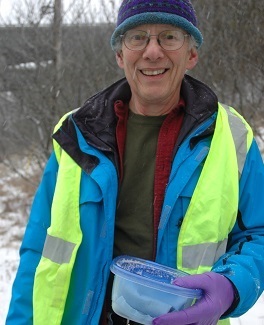 The AOT biologist called Barry at the Vermont Bat Center. 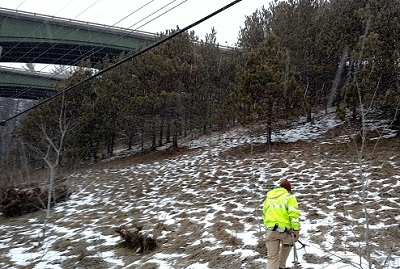 He immediately headed out on a 90 minute drive in a snowstorm to meet the AOT staff members at the bridge. The bridge was huge. 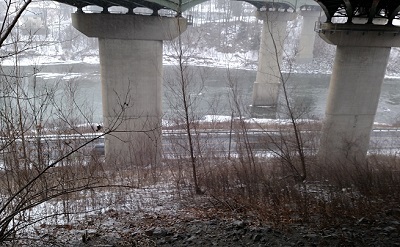 It was a scramble up a steep incline in the snow to reach the location under the bridge where Spidy was hanging. 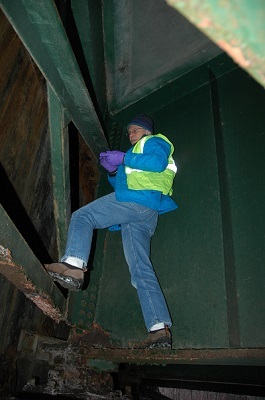 Barry made the climb up into the girders under the bridge and retrieved him. Back at the Center Spidy got a careful exam. He was seriously underweight but otherwise was in excellent condition. He is now enjoying his meals of high energy food and mealworms. After a few more days of observation he will join our other guests for a nice sleep in our hibernation area.